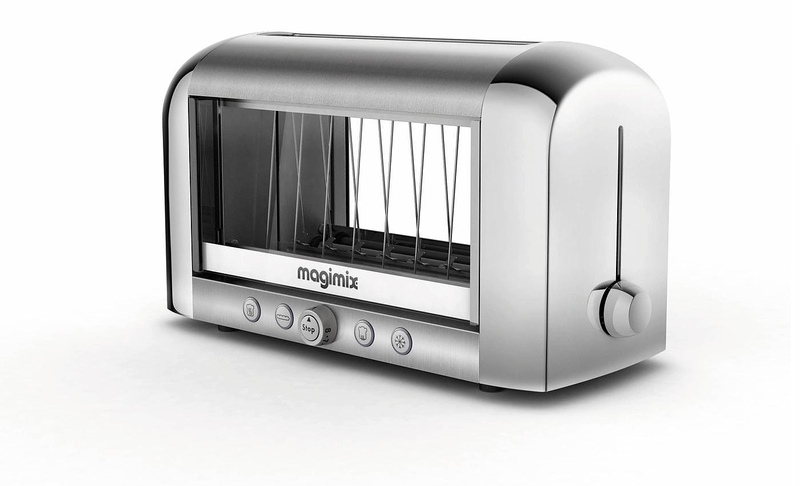 Magimix Vision Toaster, World’s First See-Through Toaster. 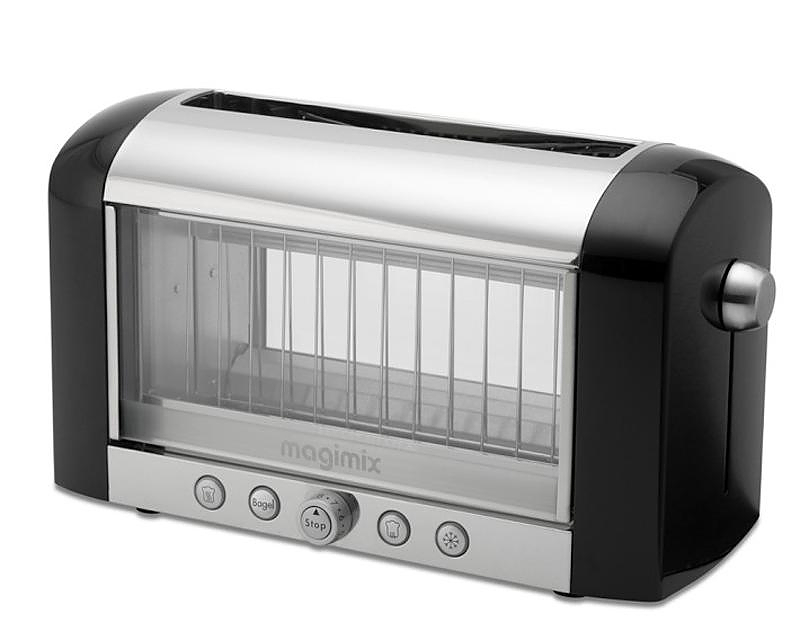 HomeBlogHome DecorMagimix Vision Toaster, World’s First See-Through Toaster. 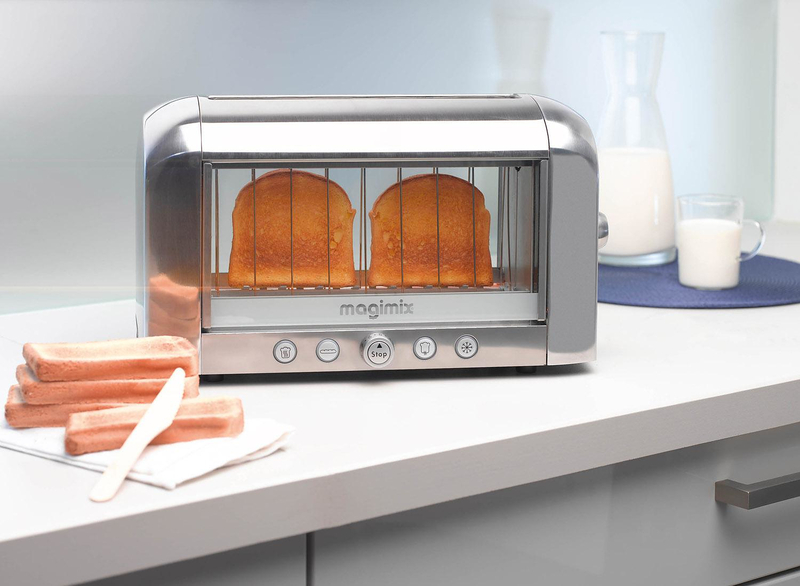 The “Vision Toaster” by Magimix is the world’s first see-through toaster. 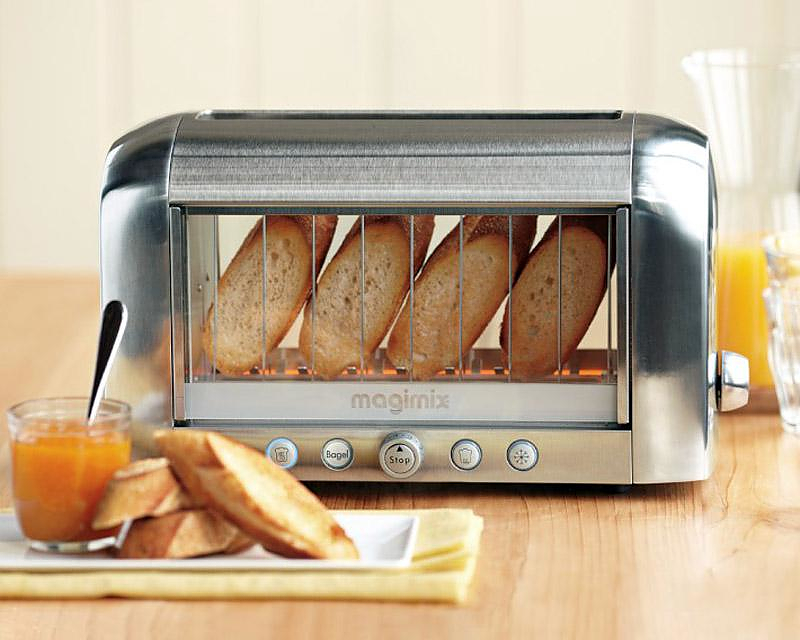 This unique toaster allows you to watch your toast, bagels or baguettes, while they are browning. 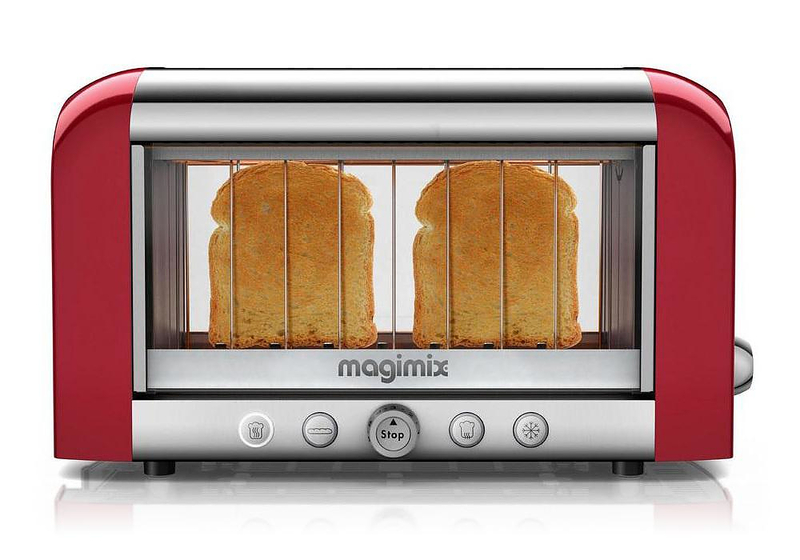 With the Magimix Vision toaster you can have your breakfast perfectly toasted each and every time. 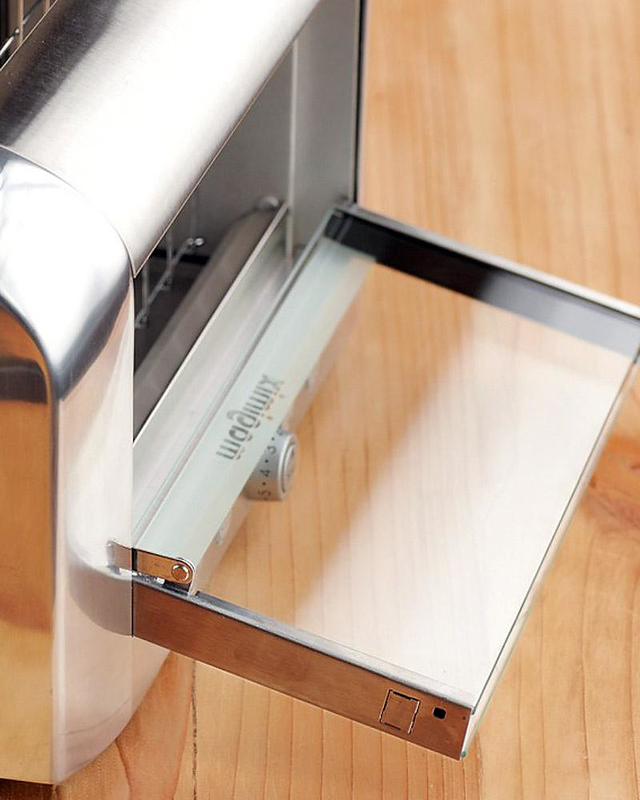 Made from durable stainless steel, this toaster is unlike any other. Thanks to its double insulated glass windows, you can instantly see how toasty your toast has become, and pop it out when it is exactly as browned as you like it. In addition it has four preprogrammed heat settings and its extra wide slots make toasting all different types of bread effortless. The bagel setting toasts just one side, as a bagel should be toasted. Other settings include toast, reheat and defrost. Choose a setting or simply push the stop button when your toast looks just right. 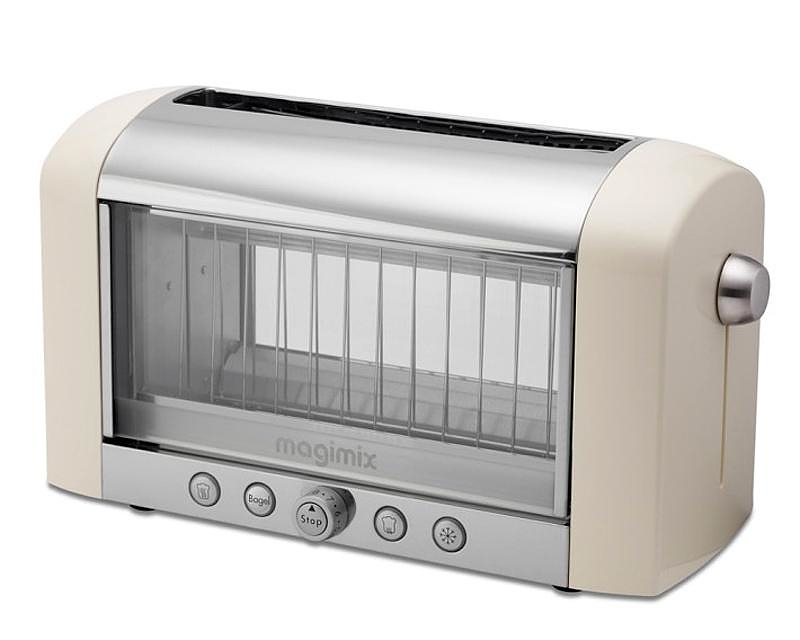 The Magimix Vision Toaster is built to last for 30,000 uses (that is 86 years of everyday toasting) you will never have to purchase another toaster again. 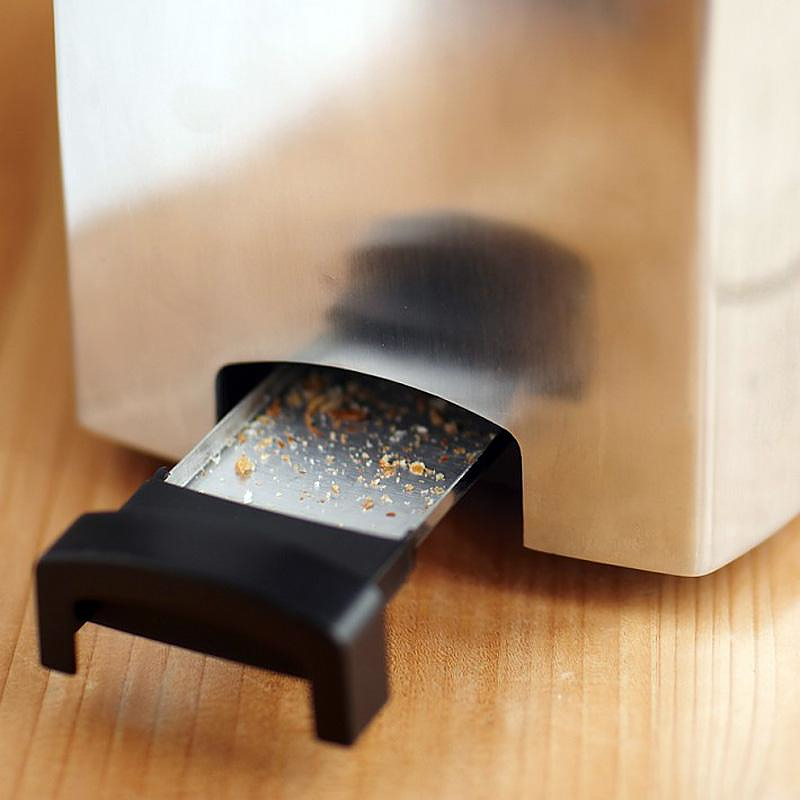 This little kitchen appliance is clearly one of the most advanced toasters available today. It is full of cleverly thought details and technical solutions. – The insulated glass never heats up, so the toaster is always cool to the touch. 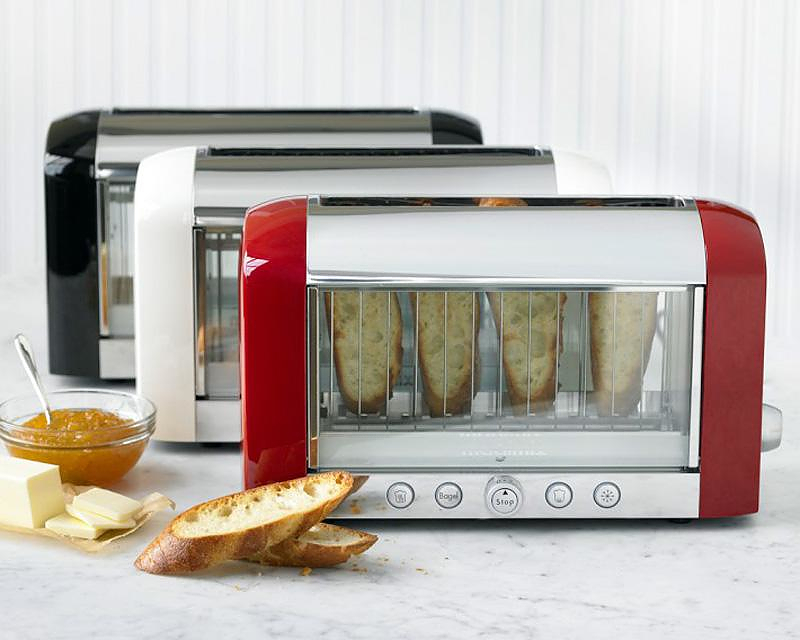 – It uses four patented quartz heating elements that will consistently brown your toast evenly on both sides. – Removable crumb tray for easy cleaning. – Timer setting knob from 1 to 8. – Storage for the power cord under its base. – Four preprogrammed toast settings, Toast, Bagel, Reheat and Defrost. – Extra wide slots to fit thicker slices and bagels. 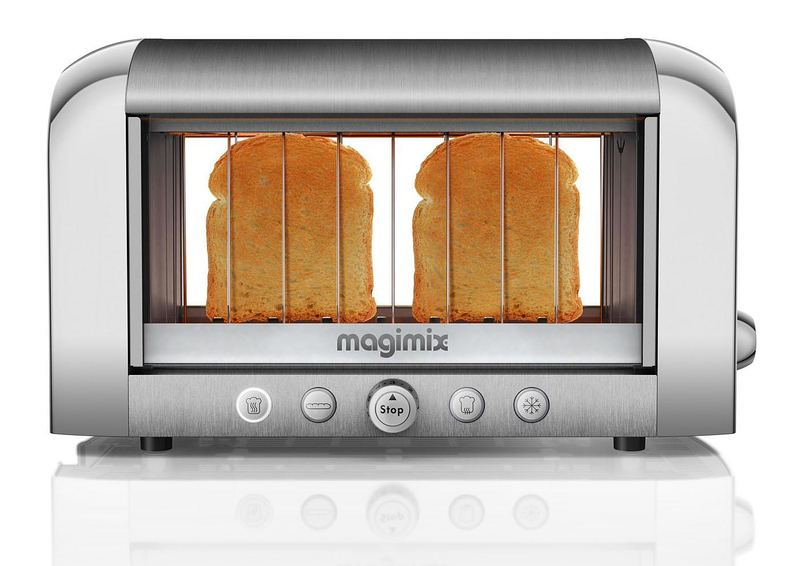 Packed with practical features, the Magimix Vision Toaster will make your life a little bit easier, while assisting you in achieving toasting perfection. Shell digital kitchen scale by Joseph Joseph. MIITO Energy Efficient Electric Kettle.